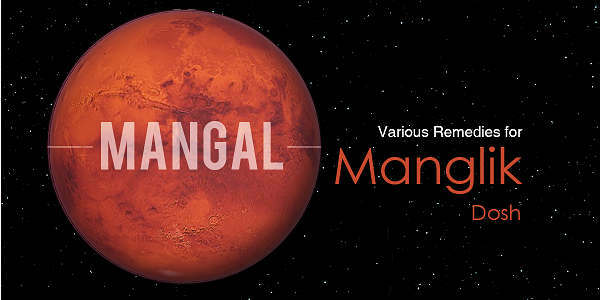 Astrologically, when the planets other than the outer planets are under the nodal influence of Rahu and Ketu, this conjunction is treated as “Sarpa Dosha” or “Kaal Sarp Dosha”. In other words Sarpa Dosha is said to be happened when all the planets are hemmed on one side between Rahu and Ketu. It is supposed that Rahu is stronger than Sun and Moon. That’s why it’s good and bad impact is specific. Life of the native having Sarpdosha is unpredictable. He/she may act like unsteady person. 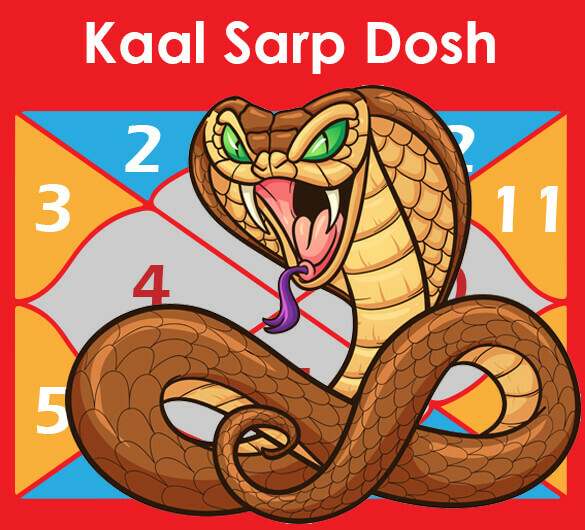 Kaal Sarp Dosha Yoga do not suggests either success or failure, if rahu is in its SHUBH position then it bless the human with good fortune. And if Rahu is in its DUSTH position then human have to suffer with bad fortune. But I feel, you should just confident about yourself, keep your soul pure, and forget the fear. 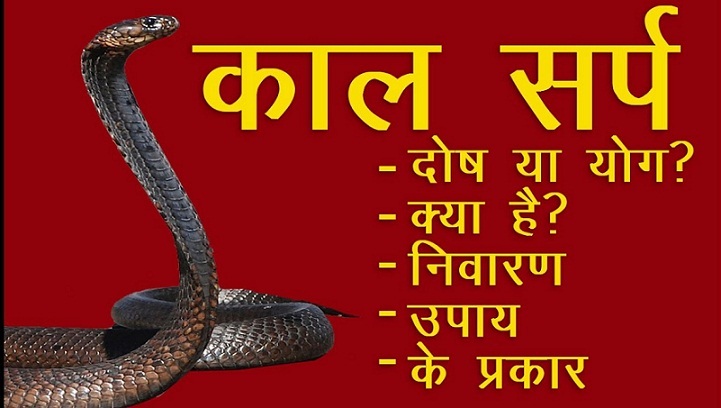 According to astrology a person’s life may be destroy due to the harmful effect of the kaal sarp yoga. This is one aspect. On other side Natives of this dosha may also have successful life in their field. For example super star Rajani Kanth. Depending upon the position of Rahu-Ketu and the planets, there are twelve different types of Kaalsarpa Dosha are supposed to be existing. When someone harms or kills a Serpent or Snake (intentionally or otherwise) and thereby hurting Lord Subramanya, this Dosha is said to be happen. Such persons frequently see cobras both in reality and in their dreams. People, who have built their houses on plots after demolishing the snake pits, are found to face ill health as long as they live in that house. Performing a Kaal Sarp shanti pooja, keeping an energized Kaal Sarp Yantra in the house. 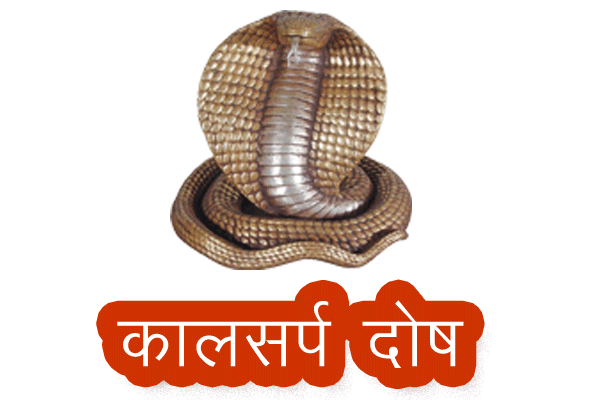 Kaal Sarp Shanti Pooja can be performed at Trimbakeshwar Temple, Nasik, Maharashtra, Maha Kaaleshwar Ujjain, Lodheshwar Uttar Pradesh, Shri Kala Hasti Temple, and Andhra Pradesh, India. To get free from Kaal Sarp dosh we have to worship Lord ‘Shiva’, hence this Kaal sarp shanti Puja must be performed at Trimbakeshwar only because along with God Shiva the Brama and Vishnu are also part of Jyotirling here. Thus we get incredibly quick results at Trimbakeshwar. Kaal Sarp shanti Puja vidhi: Kaalsarp shanty Puja vidhi would be done in a single day. This vidhi includes Ganpati poojan , punayahavachan, matruka poojan, naandi shradha, navgragha poojan, rudharakalash poojan and finally balipradan & purnahuti. The full procedure of this Pooja vidhi is completes in about 6 hours. Visit Trimbakeshwar temple previous to performing this Pooja Vidhi. Please don’t go/visit or stay in any relative’s house in the returning way, straightway come to your own house. Person performing pooja has to follow some rules given by the Panditji and has to follow some restriction for a minimum period of Six month. If you are a Native of Kaal Sarp yog (Dosh) Dont be afraid, From the age of Entering in “GRIHASTHSRAM” Live with and According to Nature, Love your family, Love your Society, Live with Mankind. Concentrate always on good things. Definitely The God will Love you with his Blessings.